Digimarc is dedicated to promoting STEM (Science, Technology, Engineering, Math) careers among young people through education and innovative technology programs. We have made a commitment to volunteer work with In4All and STEM Connect at our partnership school, Greenway Elementary School in Beaverton, Oregon. 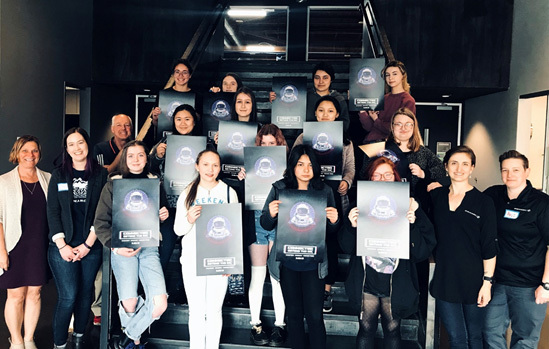 We also have partnerships with our Creative Production Company Premier Press in Portland, Oregon and ChickTech: Portland, a non-profit organization helping young girls discover an interest in the STEM industries. 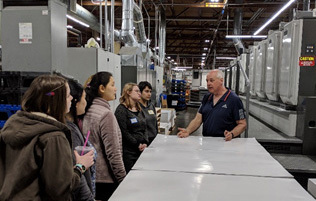 This spring, several Digimarc employees volunteered at Premier Press to help introduce 13 high school girls to Digimarc technology and its intersection with print technology. 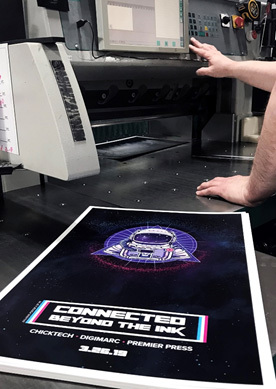 This program was collaboratively-sponsored by Premier, Digimarc and ChickTech and included a tour of the facility and instruction on enhancing and printing a poster with Digimarc Barcode. The students received a tour of the Premier Press facility and its equipment from Premier’s President, Chris Feryn. Digimarc’s Andi Castle explained how Digimarc Barcode is added to a printed piece. The students showing off their finished posters with Digimarc Barcode. 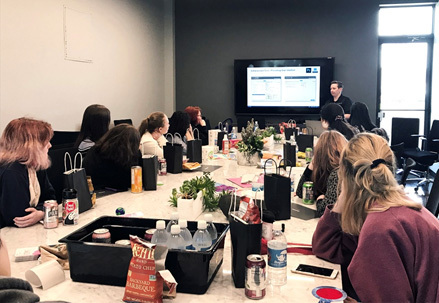 Click here to view an agenda of the education program at Premier Press.